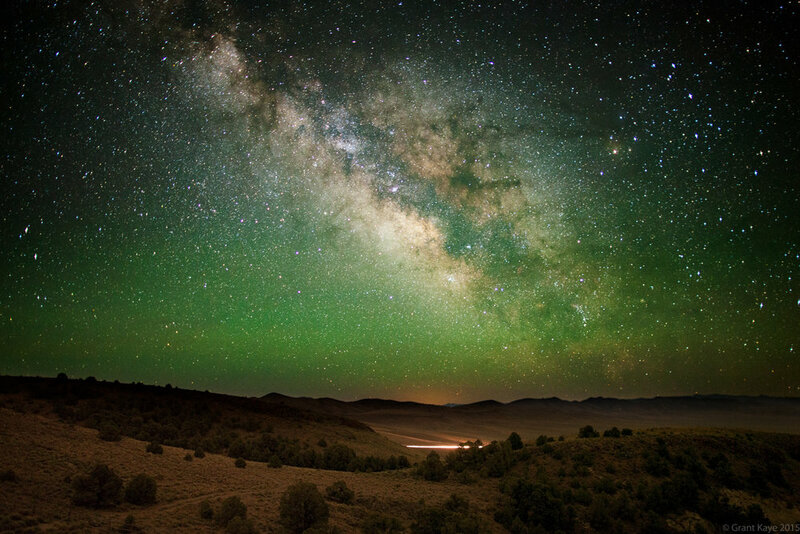 Interested in spending a weekend honing your astrophotography skills in Nevada's historic Tonopah? Join me and Michael Okimoto for this three-day, two-night course in one of the true gems of Nevada - Tonopah! Post-processing instruction in Adobe Lightroom Saturday and Sunday afternoons at the Mizpah. Participants must agree to and sign the Workshop Terms and Conditions. $795/person, single occupancy in a Standard Queen rooms. King rooms and suite upgrades are available for an additional fee. This workshop is limited to 10 students, and has two instructors. To reserve your spot in this workshop, email or call grant at 530-386-6492 and remit a deposit of $500. Deposit terms can be found in Grant Kaye Creative's workshop Terms and Conditions.